The saying “life is a rollercoaster” has been long held as a universal truth. It’s not hard to see why. Some of us hold on for dear life, while others jump the tracks. 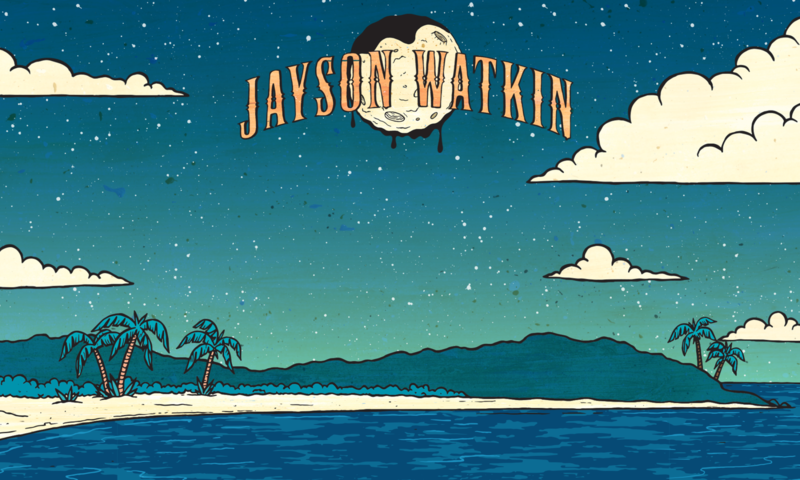 The stretch of rail beneath Australian songwriter Jayson Watkin has taken some intriguing turns over the past seven years. The Far North Queensland native released an acclaimed debut record in 2009 that brought him a hard-earned taste of success. However, he was unable to ride the wave and Watkin soon found himself on a journey of self sabotage, plummeting him into heartbreak. These slings and arrows are laid bare on the new record, Lifeboat. Watkin’s first album, Rain of Mercy, spawned a hit single, ‘Jacky Kneebone’, and announced him as a songwriter that demanded attention. With little effort, over 5000 copies found their way into Australian homes and Watkin held the number one spot on Brisbane’s 98.9FM All Australian Top 20 for six weeks, collected a coveted Qsong award and received a nomination for male vocalist of the year at the Queensland Country Music Awards. Almost as if a prerequisite to emotive songwriting, Watkin’s demons conspired to send him into a spiral of despair and intoxication as a result of a relationship breakdown. He found solace while working on a fence line on Cape York Peninsula, and then packed his bags for foreign shores. Through the turmoil, he continued to write and perform. Music was his “lifeboat”. Watkin believes that such experiences are crucial to his music’s unwavering authenticity. Watkin wrote a fresh swag of songs, documents of pain and expanded wisdom, and went about making his anticipated second album. Chasing country twang, he went to the hallowed rooms of Nashville’s Blackbird studios. There, he felt elevated to a whole new level of musicianship, with the guys at Blackbird eminating the professionalism and history that Nashville has to offer. However, feeling still emotionally displaced, being too far from home was unnerving. This sent him back to Australia, and he found himself at Vibetone Recording Studio on the Sunshine Coast hinterland. Adding to the personal hardship of Watkin’s journey was a lack of confidence. He was plagued by the idea that he couldn’t ever rekindle the spark of creativity that lead to Rain of Mercy. If the assured songwriting and undeniable quality of Lifeboat is anything to go by, Watkin has not only rediscovered the magic – he’s found a way to surpass it.